It is customary to study Jewish texts – mostly commonly Pirkei Avot – during Sefirat Ha’Omer, the period of time between Passover and Shavuot. Many take the opportunity to occupy themselves with Torah study in the late Shabbat afternoons when the days are longer. The sages believed it was a worthwhile practice and would keep people focused on Sabbath observance. Here are four opportunities for online study during this period. I launched the Torah Daily Facebook page after reading Jennifer Preston’s article in the New York Times about Jesus Daily. I was convinced that there was a need to provide spiritual and inspirational texts and quotes from Jewish wisdom. With the encouragement and assistance of the leadership of Clal’s Rabbi Irwin Kula, Rabbi Brad Hirschfield and Rabbi Rebecca Sirbu, I created the Facebook page and invited friends and colleagues to follow it. It quickly gained a following and then one of my colleagues in Clal’s Rabbi’s Without Borders fellowship program Rabbi Juan Mejia worked with me to create the Spanish language version called Torá Diaria. Torah Daily has close to 1,000 followers on Facebook, which is nothing close to the 17.5 million fans Jesus Daily has but it’s become a dependable source for inspiration. Several rabbis and Jewish educators contribute meaningful lessons to inspire Torah Daily’s followers. The almost daily posting of quotes from Jewish wisdom can be shared with friends on Facebook and discussed using the Torah Daily Facebook page as a forum. I described the need for Torah Daily in a Huffington Post article. 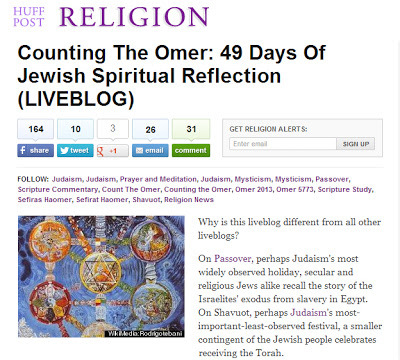 Last year, Huffington Post’s Religion vertical associate editor Josh Fleet has put together a live blog that offers daily inspiration and learning during Sefirat Ha-Omer, the 49 day period of the Omer. He writes in the liveblog’s introduction, “On Passover, perhaps Judaism’s most widely observed holiday, secular and religious Jews alike recall the story of the Israelites’ exodus from slavery in Egypt. On Shavuot, perhaps Judaism’s most-important-least-observed festival, a smaller contingent of the Jewish people celebrates receiving the Torah. In between these joyous mile-markers of past desert wanderings, even fewer modern Jews observe the Counting of the Omer, a 49-day period of self-reflection and spiritual renewal. HuffPost Religion would like to change that. Here, throughout Sefirat HaOmer, as it’s called in Hebrew, we offer the opportunity to ascend the 49 levels of renewal as part of a virtual Omer community. Each day, we will update this liveblog with spiritual intentions, prayers, Scripture, poems, art and reflections from our bloggers and readers related to that day’s spiritual energy.” Those wishing to contribute their Omer inspirations can send an email to religion@huffingtonpost.com for possible inclusion. Dan Mendelsohn Aviv’s TanakhCast. Mendelsohn Aviv’s motto for his Torah study session podcast is “Give us something like 18 minutes, and we’ll give you the WHOLE TANAKH! (But not all at once – obviously…).” With sound effects and a nice jazz tune, he offers an easy to understand lesson on a few chapters of the Bible. Funny at times, Mendelsohn Aviv makes the stories of the Torah interesting and fun. The short podcasts keep people’s attention and make them want to come back for the next podcast study session. Jewish Twitter users are once again studying Torah and attempting to get the hashtag #Torah to top Twitter’s trending terms list. Originally launched in 2009 by Rabbi Shai Gluskin, Tweet #Torah to the Top is an effort to spread the teachings of the Torah and the discussions surrounding them to as many people as possible by organizing a collaborate effort to tweet on Erev Shavuot. Each year more Tweeps (Twitter people) seem to join the campaign by learning Torah and tweeting what they learn on the social networking site using the #Torah hashtag. 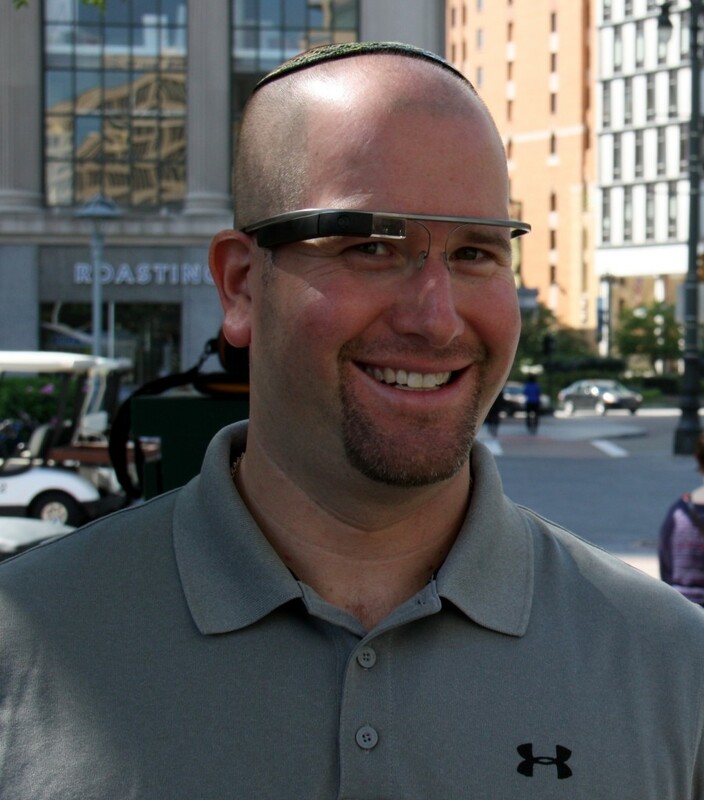 As Rabbi Mark Hurvitz explained, “I think this is a great way to encourage awareness of Torah. I’m sure we each have many simple “Torah thoughts” that can be expressed in 133 characters (Hurvitz reminds participants to leave room in their tweets for the final space and #Torah). An example of a Torah-infused tweet is “Neither is #Torah beyond the sea, that you might say: Who shall go over the sea & bring it to us & make us hear it, that we may do it?” Hurvitz explained that the goal isn’t just to get #Torah to trend, but also to have this project serve as a global learning experience, to learn something, meet new people, and feel closer to the revelation at Sinai.